MTBE (methyl-t-butyl ether) is a member of a group of chemicals commonly known as fuel oxygenates. Oxygenates are added to fuel to increase its oxygen content. MTBE is used in gasoline throughout the United States to reduce carbon monoxide and ozone levels caused by auto emissions. MTBE has replaced the use of lead as an octane enhancer since 1979. How does MTBE contaminate water supplies? There are opportunities for MTBE to leak into the environment (and potentially get in drinking water sources) wherever gasoline is stored, and there are opportunities for it to be spilled whenever fuel is transported or transferred. Releases of MTBE to ground and surface water can occur through leaking underground storage tanks and above ground fuel storage tanks, pipelines, spills, automobile accidents damaging the fuel tank, consumer disposal of "old" gasoline", emissions from marine engines into lakes and reservoirs, storm water runoff, and precipitation. What happens when MTBE gets into the environment? Because MTBE dissolves easily in water and does not "cling" to soil very well, it migrates faster and farther in the ground than other gasoline components, thus making it more likely to contaminate public water systems and private drinking water wells. MTBE does not degrade (breakdown) easily and is difficult and costly to remove from ground water. 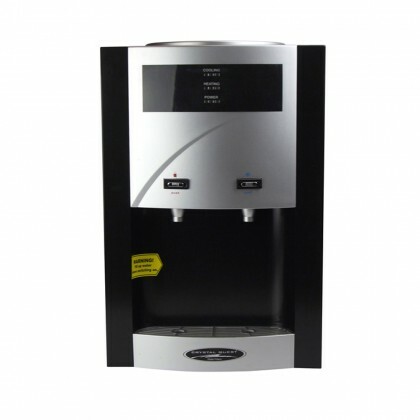 Reverse Osmosis with activated carbon pre-filtration will reduce MTBE from drinking water.